Its no surprise that Buffalo Trace makes Eagle Rare bourbon. Considering their impressive line-up, Eagle Rare fits right in with the rest of the Buffalo Trace portfolio! The brand was introduced in 1975 when single barrel bourbons dominated shelves, and long before bourbon was chic. Eagle Rare was Charles Beam’s (from the Jim Beam lineage) baby. The original version was a 101-proof ten-year-old Kentucky straight bourbon whiskey. A single barrel 90 proof version was released in 2005 – the same year that Master Distiller Harlen Wheatley took over. This latest batch uses Buffalo Trace Mash Bill #1 (around 80% corn, with some rye and barley), giving Eagle Rare some of the same qualities found in Stagg Jr. and Colonel Taylor. Eagle Rare comes from the 5th floor of warehouse C. Warehouse C is one of the oldest warehouses at Buffalo Trace famous for producing some of the best bourbon at the Distillery. If you are like me, your taste in bourbon changes with the seasons and with your mood. This is a great bourbon to kick back and relax with. There are tons of fall flavors on the nose and in the palate. Eagle Rare bourbon is true to the wood flavors that created it! Eagle Rare has a rich bronze color inherited from its charred barrel. Its a color that radiates late day sunsets and resin. The nose reminds me of honey nut Cheerios – subtle sweetness and grain. Despite the fact that this is a 10 year old bourbon, the nose is just a little weak and understated. I picked up strawberry and banana fruits, but charcoal and tobacco really stand out. The first sip will give you a nice, thick, oily mouth feel. Unlike the nose, this texture helps me pick up the flavors because it sticks to my palate. The high corn mash bill gives itself away with a super sweet flavor. Ever had Nutella spread? Its subtle, but that flavor is there, too. I get the predictable ‘old wood’ flavors and that slightly rough texture in the back of my throat. No doubt from tannin and from the rye. But don’t let that turn you off! Eagle Rare is so smooth you will have to ‘look’ for that rough drag! Every real bourbon lover looks forward to the finish as much as they look forward to the first taste, and with such a nice start, I thought Eagle Rare would finish just as strong. But here is where this bourbon drops the ball. The finish is smooth, but flat. Warm, but flavorless. And dry, but medium in length at best. If the finish is a marketing ploy to get me to keep sipping, its working. As soon as I am smacked with the boring finish, I want to take another sip to get some flavor in my mouth. Eagle Rare is a fine bourbon if you take your time with it. For God’s sake, try it neat first and in a Glencairn if you can. Of all the glasses I have used, the Glencairn helps express the bourbon better than your typical rocks glass. All things considered, I give this bourbon a B-. 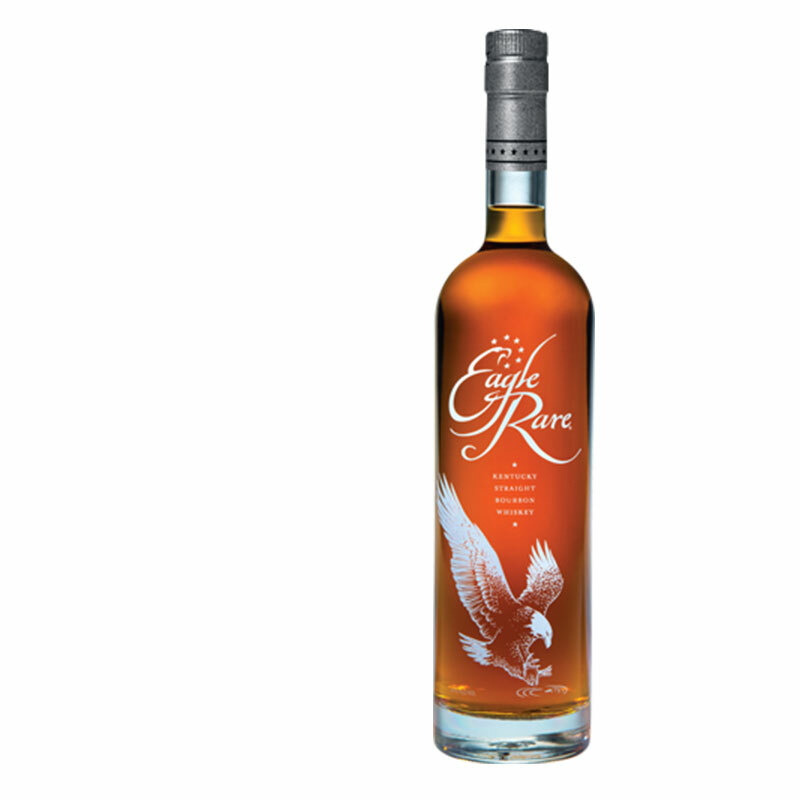 The Eagle Rare Single Barrel 10 year price is around $35 for a 750mL bottle. It is hands down one of the best bourbons you can buy under $100. I would suggest going ahead and buying a bottle. You wont be disappointed! If you enjoyed this bourbon review, keep the conversation going! Leave your own bourbon reviews and tell us what you think by clicking the button below. I have been drinking Eagle Rare for many years. It is the bourbon I give newbies because of its viscosity and smoothness. I always keep a bottle on hand. I personally like many many Buffalo Trace bourbons. The price point for Eagle Rare would make me think it deserves a higher score. This is a single barrel bourbon and my first bottle several years ago was terrible. I did finally decide to give it another shot and while it was better, still just a C for me. It’s probably a good thing that I don’t care for it since it’s a rare bird in my neck of the woods. This is my seventh decade on the planet and a lot of that time has been spent sampling whiskey. I have a thing for single malt Scotch and Canadian Whiskey. Went on the Bourbon trail last summer and sampled quite a few – all of them for the first time. Eagle Rare was one of three I brought home. It’s one of the best I’ve tried at this price point. Go for it. Eagle Rate has been my Bourbon of choice for over 40 years! Glad to see it getting the recognition it deserves. Still miss those wooden boxes and the 101 proof Old Prentis mash bill.